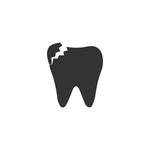 Broken or knocked out tooth always need proper dental care. In a scenario when it is not possible to go for a check up immediately, providing first aid can balance the situation to a certain extent. 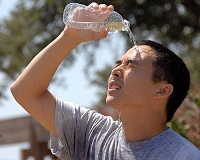 Have you ever suffered from heat stroke? Do you know someone who has been through this medical condition? 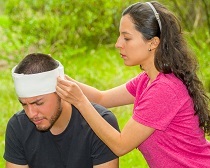 Heat stroke is a common medical ailment that causes a person to collapse or fall unconscious. Croup is a typical medical condition that affects the upper midway; making it difficult to breath. Often contracted by younger children aged between 3 months to 5 years, this condition can be diagnosed by a general practitioner and treated at home. Children with croup have difficulty in breathing, barking cough, and a croaky voice. Dehydration is a medical condition that occurs when someone loses more fluid in body than they take in. Young children and aged people are likely to get dehydrated more easily. The best way to treat this condition is to motivate them to drink lots and lots of water. But lack of water is not the only reason responsible for this condition; afternoon fatigue is also a common reason to check with. 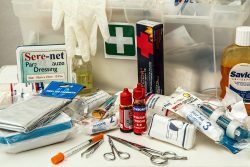 Why First Aid Training Is on demand? You never know when you’ll found yourself stuck in an emergency! If an aged person falls in front of you or starts feeling uneasy, what will you do? 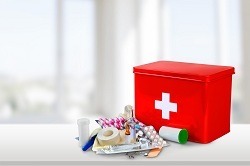 Providing immediate medical assistance is what you should try for. If you don’t want such situation to arise, learn first aid and take immediate action. Learning first aid is the only way to deal with such situations. 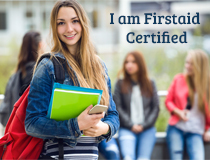 Once you have the knowledge of first aid and CPR, things will get easier for you to manage. We all know when emergencies barge in, it takes time for victims to receive professional healthcare help. In such situations, if the victim encounters someone who is trained in First Aid & CPR can be life saving for him. 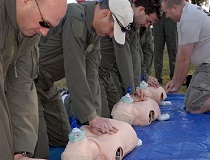 Today, there are CPR certification courses made available all-round the year in sunshine coast with an aim to minimise the toll of lives lost, due to lack of initial first aid assistance.